Describing the proudest moments of her 12 years on the City Council, Mayor Elizabeth Pearson, who leaves office next month, said they were “those times I was really able to help people in need,” some known to the general public, some known to only a few people. Asked for particular standouts over the course of her tenure, Pearson cited the opening of the Montage resort in 2003, the “18 months of laser-focused attention” addressing the Bluebird Canyon landslide in 2005, the opening of the Susi Q Senior / Community Center in 2009, and the progress made in creating a village entrance in 2014. Certainly there are few residents who haven’t enjoyed a peaceful promenade through the Montage’s Treasure Island Park. And, after great controversy that came to a head last winter, the city is moving forward with a plan for a park and parking area next to City Hall. But Pearson’s tireless quest to get help for the victims of the Bluebird Canyon landslide that destroyed 12 homes and damaged many more remains vivid for many people, as does her longtime championing of a true gathering space for local seniors. As impressive, Pearson brought California’s Democratic senator, Dianne Feinstein, to Laguna to see the disaster for herself. Feinstein’s support helped reverse the Federal Emergency Management Agency’s earlier denial of a request to help fund repairs to the Bluebird Canyon hillside. Pearson also pushed for Measure A, a ballot measure to impose a half-cent sales tax increase to fund future disaster relief. 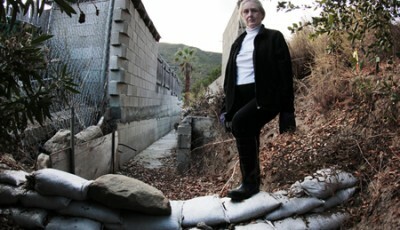 “Elizabeth is a really hard worker,” said another former Laguna Beach mayor, Cheryl Kinsman. “When she sets her mind to something, she it gets done,” she said. What’s more, Pearson “was almost completely responsible for the senior center,” she added. Earlier this year, Pearson announced she would not seek a fourth term on the Council, citing the demands of her position as president and chief executive officer of the Pacific Chorale, one of the top choruses in the nation and the resident choir for the Renée and Henry Segerstrom Concert Hall at Segerstrom Center for the Arts, among other things. Asked this week about her guidance for the town, Pearson suggested a strategic focus on economic sustainability, especially concerning the arts, environmental tourism and the year-round viability of local businesses. Traffic and parking should be managed based on a 25-year plan, she said. “Envision the ‘look and feel’ of Laguna Beach – hopefully still as a quaint and welcoming town. And be ever-vigilant regarding the quality of life of our residents,” she said. If she were to give advice to her successor as mayor, it would be to set aside plenty of time, “as it is almost a full time job,” said Pearson. As for new Council members, “Spend your time in the seat to really try to make a difference, and to help people,” she said. Some of the funniest moments of her tenure involved “Lagunatics” skits, good-natured exchanges with longtime resident and concerned citizen Bruce Hopping, and “quips” from former City Manager Ken Frank, she said. Her biggest disappointment proved people who didn’t live up to their promises and “the lengths some people will go to to try and win an election, whether it hurts other people or not,” she said. The best part of elected service was “getting to meet thousands of diverse, interesting and selfless people” and “bringing people together to really get things done,” she said. Would she consider running again in the future? “Today, I would say no, as my priorities are my very demanding career and making time for a personal life and people who matter to me,” she said. 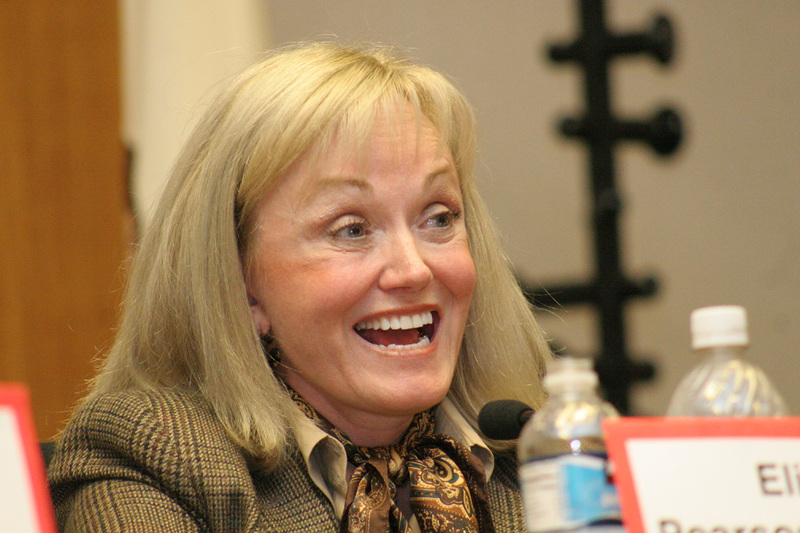 Kinsman described Pearson’s leaving office as “a big loss to the city,” particularly because of her countywide and statewide connections to numerous organizations and officials who could be helpful to Laguna financially.